The proverb says, “All work and no play makes Jack a dull boy.” We need recreation after a long period of hard work. Some people like driving their cars out of the city where they can admire the beautiful scenery with their families. The splendor of a mountain range that extends miles away like the shape of a dragon is good enough to attract your attention. Visiting a waterfall on vacation can be so glad and full of the joys. There’re also a lot of benefits which are good for your health. 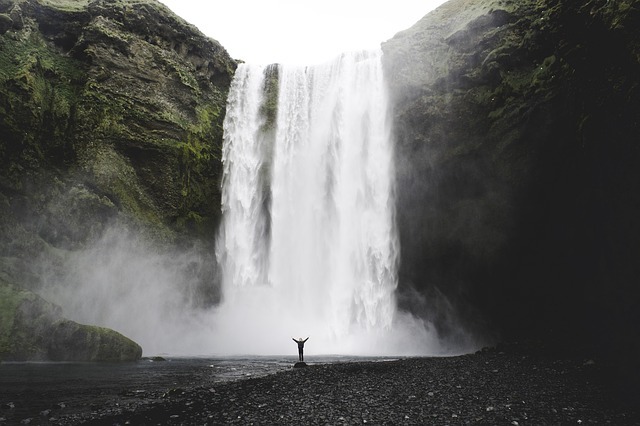 The thunderous falling water produces negative ions which bring a great number of advantages to the environment. Negative ions can clean the polluted air, dust, viruses and bacteria. Inhaling fresh air by the waterfall makes you feel relaxed and comfortable. It’s a good idea to release tension and physical fatigue by taking a bath at the waterfall lake. It is a kind of natural therapy which will make you look younger and lengthen your lifespan. Mayung Putek waterfall is located in Bilok Petung village, Sembalun subdistrict of East Lombok Regency. The waterfall is a kilometer from the road and it is at the boundary which divides the area of East and West Lombok. Tourists can take the route that passes the region of East Lombok or North Lombok. It doesn’t take much time to arrive at the waterfall, not more than 30 minutes. You should take the path at the slope of the mountain and walk down hundreds of natural stone steps to reach the waterfall. While you’re walking down the stone stairs, you’ll feel that it is indeed a heavenly place. Admiring the beauty of nature from an extremely high place is beyond my ability to describe. It’s worth visiting and you may go there to prove it yourself. The thunderous noise of the falling water is able to purify your mind and release all the stress and cure headache as well as normalizing blood pressure. People say that some angels often hang out by the plunge pool and play flute for pleasure. Life in heaven isn’t as attractive as it is in the world. You should bring your own food and water because no food stalls can be found along the way. It’s so inconvenient and perhaps you need a tour guide who is familiar with the location. As everything is free of charge, you don’t need to buy entrance ticket or pay parking fee. You can save a lot of money during the day of your visit. It’s wonderful that you take some photos and keep them in your album, so that you can recall the valuable moments someday. Some visitors believe that taking a bath at the waterfall can wash all the sins and illnesses and bring them good luck. Therefore, they’ll be very successful in life and make a good sum of money. As the water flows heavily into the plunge pool, you should be careful of your safety. The water comes from Segera Anak Lake which is located at the peak of Mount Rinjani. Long ago, a great number of wild animals could be found at the location of the waterfall, such as deer, boars, antelopes, etc. They came to quench thirst and bathed in the cool water when the weather was hot. It was strange that all the deer were in white color. That’s why the waterfall is called Mayung Putek. In Sasak dialect, mayung means deer and putek means white. It is said that only kind hearted people are given the opportunity to see the white deer. They have a good memory and it’s impossible for them to forget you. If you see the deer one day, please don’t forget to share your story.